Tablet is the mobile computing device which uses the on-screen interface that come in a variety of size, shape and feature sets and have an operating system which is capable of running the small programs. Dotcom stores have various lines of laptops and tablets in which Lenovo tablets are one of the exclusive gadgets with all best specifications at the best price. There is the tremendous growth in the field of technology for last five years. People of all ages such as students, business people, old people, and housewives are using the Lenovo tablets for various reasons that help them to do their work or use in the leisure time with comfort and convenience. You have the option in the Lenovo tablets that allows you to send the email or document to anywhere that you wish. Tablets have the various options in layouts and design of virtual keyboards when they are required to type. Tablets are considered to be portable productivity stations which can run PIM applications and gives the superior experience to use. Tablets will handle more content and have the Wi-Fi facility to connect to the internet. Lenovo Tablets are popular as it allows sharing photos and running a presentation and it is great to use especially for meetings. It is a good way to take notes unobtrusively. People of all age who bought tablets like to play games and watching movies which makes their leisure time to enjoy and relax. Most of the parents used to buy the tablets especially for kids as they are loved to use it for reading comic books in full color and simple to navigate. When you travel alone to anywhere either in plane, train and car, you can take tablets as your companion which gives you the best time as fun as possible. Buy the best Lenovo tablets with a wide variety of different tech and features from the dotcom stores at the best price with aspire offers. 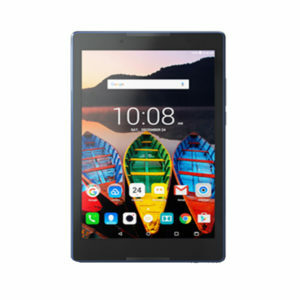 There are modern apps and games in the tablets that can be explored by the people who like to purchase it from the Lenovo showroom in Chennai. Now-a-days you can observe that most of the people would use tablets in plane, car, and theatre and so on. Dotcom stores allow you to find all the electronic gadgets which starts from smallest tablets to the powerful workstations in the Lenovo showroom in Chennai at the best price. Best Moto Showroom in Chennai such as Dotcom stores is one of the total solution provider for all reputed laptops and it is supported by well trained and knowledgeable staff.People used to complain that their electronic gadgets are crashed and they lost all their data. Lenovo Tablets solved this crash problem just by the quick restart which takes to get them back on track. The Yoga Book is a reduced half and half tablet planned also to the Yoga workstations that is accessible in both Android Marshmallow and Windows 10 Home forms. Highlighting the equivalent “watchband pivot” as the Yoga 3 Pro, the significant distinction is that the conventional mechanical console is supplanted with a weight delicate “Make Pad” that reacts to a functioning stylus with 2,048 dimensions of weight and an illuminated contact touchy “Corona Keyboard” with haptic input. The gadget is fueled by an Intel Atom x5 processor and has a 10.1-inch full HD screen, 4 GB of RAM, and 64 GB of inner stockpiling with microSD card development bolster, Dolby Atmos stereo speakers, and discretionary 4G LTE. It ended up accessible available to be purchased in September 2016. The Lenovo tablet price was reasonable and also received good reviews from the users. Lenovo declared the Yoga 710 at the Mobile World Congress in 2016. The Yoga 710 comes in forms with 11-inch and 14-inch shows. The 11-inch rendition utilizes Intel Core M low-control processors,weighing simply 2.35 lbs and 0.58 inches thin, has 8 gigabytes of memory and incorporates a strong state drive with a limit up to 256 gigabytes. A similar process is utilized in Apple’s 12-inch MacBook. The 14-inch adaptation utilizes standard Intel Core i5 and Core i7 processors and discretionary Nvidia GeForce 940M or 940MX illustrations processors. The two adaptations utilize 1080p IPS screens. The Yoga 510 utilizations the equivalent Intel Core i5 and Core i7 processors as the 14-inch variant of the Yoga 710. It comes in adaptations with 14-inch and 15-inch IPS shows with 1080p goals. The 510 is known as the Flex 4 in the United States. These are some of the best versions of Lenovo tablets. You can get all these products from dotcom stores as we are the best Lenovo laptop showroom in Chennai. You can visit us anytime and check out the Lenovo tablet price and then decide whichis the best for you. These days there are many development and innovations in the education department. Things are getting easier for children to learn. One such thing is providing the students with tablets in schools for easy understanding. The main advantage of replacing a tablet with books is that it is cost effective. The Lenovo Tablet price is less and affordable and it is a long term use. It saves children from carrying loads of books. There won’t be any damage issues a small backpack is easy enough to carry plenty of textbook in one tablet pc. Children are more eager in learning something new rather than looking into the old boring textbooks. These tablets are easy to use than computers and laptops. When you take a look at the price range the Lenovo tablet price is lesser than the Lenovo ThinkPad price. The interests of people towards the tablet PC are increasing. Comparing all other brand the Lenovo has good specifications and latest technologies. You can get these Lenovo tablets from us as we are an authorized Lenovo showroom in Chennai. Lenovo is also good in laptop production and other electronic devices. You can get all these from the best Lenovo laptop showroom in Chennai the dotcom stores.